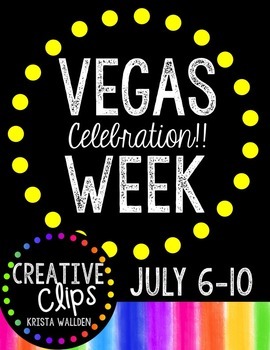 I am excited to give you the inside scoop on my Creative Clips VEGAS WEEK happening July 6-10!!! 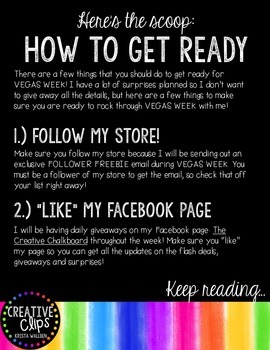 Whether you are attending the TpT Vegas Conference or not, I wanted to create a fun week full of prizes, giveaways, freebies and more! I am excited to attend the conference this year, but last year I couldn't go and I felt kind of bummed and left out! 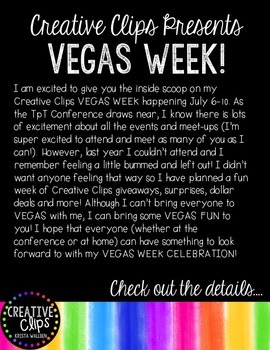 I didn't want anyone to feel that way, so I have done my best to plan a fun week for EVERYONE to experience! 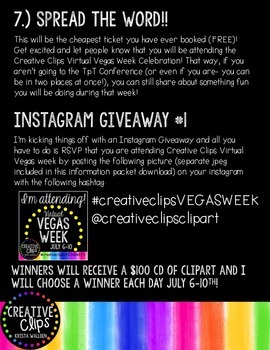 I hope you join me for this fun, free week of goodies!! !